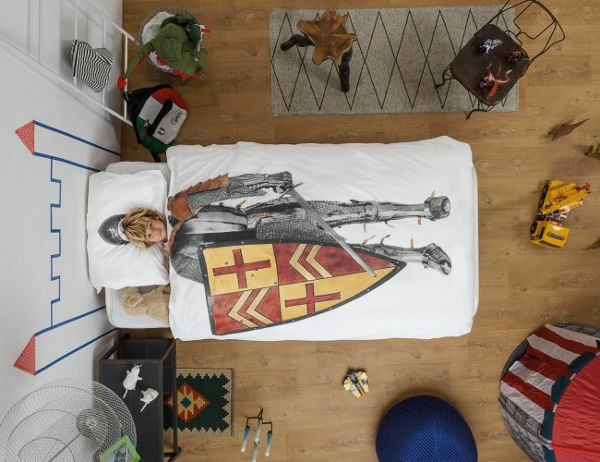 We love these true-to-life bedding sets from Snurk which put kids in the mood for dreaming. And here are the latest releases. We’ve featured a whole bunch of Snurk’s cool kids’ bedding, from princess and astronaut, to firefighters and flamenco dancers. The newest cabs off the rank have upped the ante! Landlubbers begone! This linen set is only for the pirates in the house. 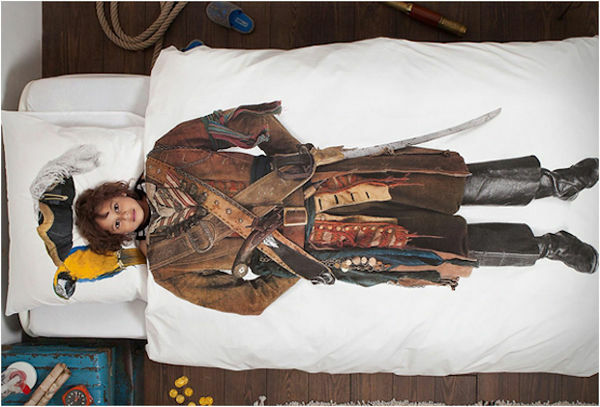 Seriously, how cool is this pirate bedding set? It costs about $90. Or how about heading into the night as a knight? With all of that armour surely the bedbugs won’t bite? 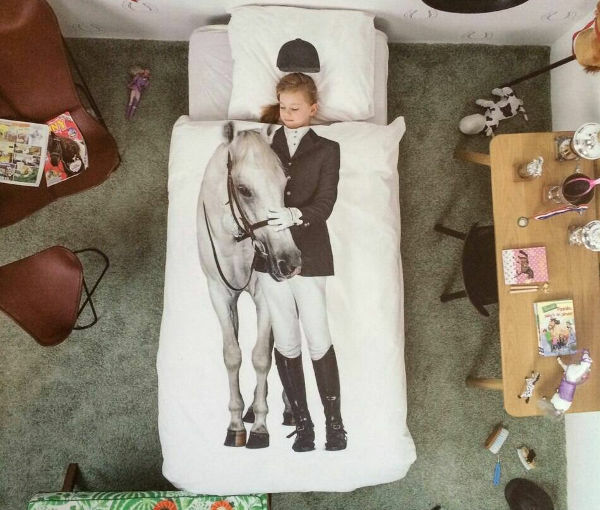 If you’ve got a young equestrian in the home, the Amazone set is sure to be a winner. The kids will be eager to saddle up and hop into bed. Once again the price is around $90, plus shipping to Australia. You can source some of the range locally through Incy Interiors.